The Big Show Returns January 30! 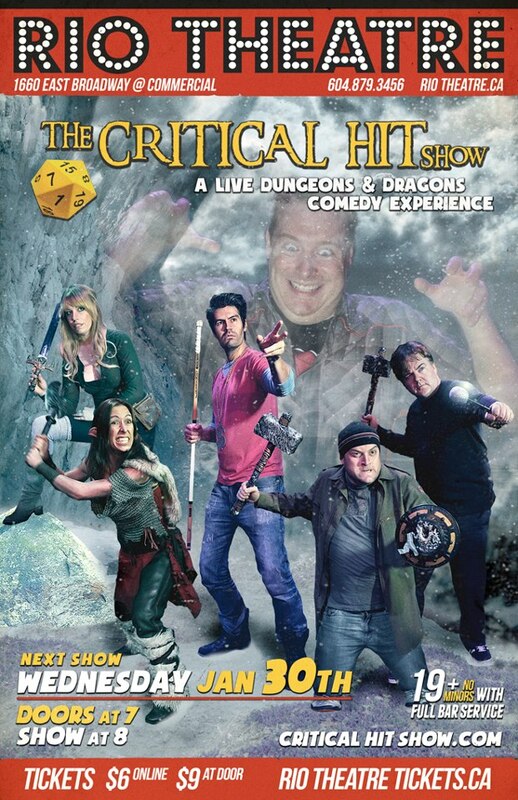 That’s right, it’s just one more day until the return of Brask, Spitz, Edda, Grima, and Benoit in The Critical Hit Show! We’re entering the second year of the CHS, and we have a lot of exciting plans! As you can see, we have a spiffy new poster, and we’re stepping up the comedy and action to match. And we wouldn’t be where we are without our amazing audience to play the monsters and to cheer on our adventurers. Thank you, and we hope to see you at The Rio Theatre on January 30! Get your tickets right here. Super Awesome Poster by Evil Patrick Shannon!